So it’s been a pretty okay week for news, with the Sonic Runners reveal yesterday (it’s looking fairly good by the way) and forum member Jollyroger managing to get the leaked POV version of Sonic Xtreme to run on Saturn hardware – and while Monday links was packed with cool things to get your teeth into and is always a great start to the week (thanks TimmiT! ), I’ve taken it upon myself to give you something to end the week on as well. Usually, this will be something like a mash-up or remix, news of some event going on over the weekend or, you know, generally weekend-y things. Today, in keeping with the Sonic 3 Remastered campaign (it was featured on the Daily Star website of all things! ), here’s some fantastic musical work courtesy of Leila ‘Woofle’ Wilson. This is a fantastic playlist of alternate takes on famous Sonic 3 tracks, noticeably different from their counterparts in the original game, but still fitting with the mood of each stage. I’m getting some Death Egg vibes from the Launch Base Zone track – which, considering the background of the stage, is only appropriate I guess. Anyway, to cut this short – if you’ve finished work or school for the week, put your feet up, unwind, crack open a favored beverage and have a listen. Enjoy your weekend. Tool Assisted Speedruns, or TAS, are quite a fun thing to see. Taking advantage of the very coding of the game, players are able to perform some incredibly hilarious and insane tricks to blaze through games. So when it comes to Sonic 3, a game most of us still hold highly as the pinnacle of Sonic, being burned right through in a staggering time of 26’53”, you know things are going to get interesting. Using our own disassembly of the game, runners Aglar and marzojr performed a run that resulted in a three-minute time improvement over the previous record set four years ago, and the first time in seven years the two ran through the whole game in such a manner. The video above features a modification that keeps Sonic on screen at all times, even when not on camera, so we can see what sort of nonsense he’s up to. A video without Sonic being omnipresent can be found here. The authors published commentaries on the run can be found here as well, detailing the parameters of their run. If you’re hungry for something a little more insane, look below for a Hyper Sonic version of the run. You can learn more about the technical side of the project in Stealth’s latest blog post! So the new Sonic titles for the year have come and gone; namely Sonic Lost World, Sonic 2 (2013 remake) by Retro’s very own Stealth & The Taxman, and Mario & Sonic at the Sochi 2014 Olympic Winter Games. These all out of the way (and indeed 2013), we’ve not got too much new for a while until information about the next games starts coming out. 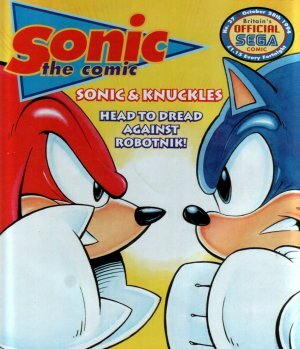 As such, I think it’s a good time to look back on some earlier titles, and finally finish off the 4-part extravaganza that has been our look at how Fleetway‘s Sonic the Comic covered the Sonic 3 & Knuckles storyline. So, let’s get started! 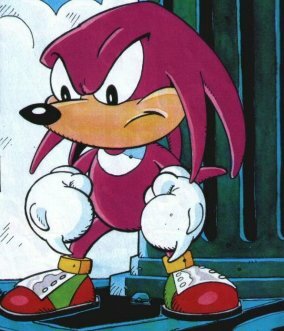 Welcome back to the second half of our look at the interim arcs of the Sonic 3 & Knuckles adaptation! 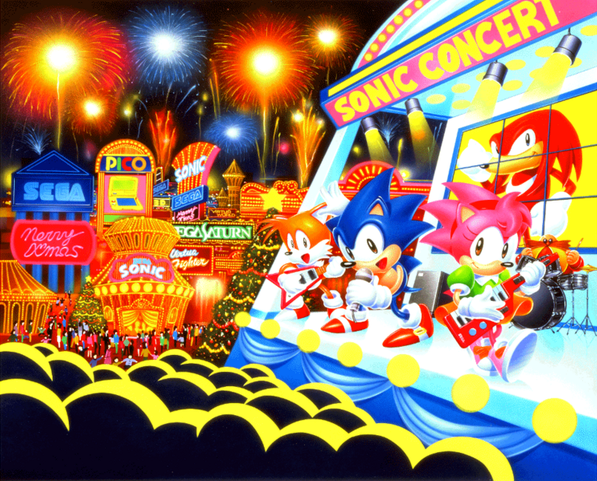 Last time we travelled with Sonic and Amy Rose to the Marble Garden Zone, escaped the newly-revealed secret headquarters of Sonic & company as Big Arms smashed the place to pieces, and did some gambling with the Mario Marxio Brothers in the Carnival Night Zone. However we’ve got much more ground to cover, so let’s get started! You’ve waited over a year for it, but it’s here: the second part of possibly Sonic the Comic’s best story arc, that of Sonic 3 and Knuckles. However, I’m teasing a bit, sorry! The build-up to the final conclusion to the game’s story (which by 16-bit Sonic standards, was quite involved) took a couple of months, presumably to stretch out the material as much as possible before the next game came out. As such, we got a few shorter arcs before the final main story started, and that’s what we’ll be looking at today & next week, covering the final conclusion in Part 6 – simply as you miss things otherwise. Hey, don’t look so sad, you there at the back – there’s some fun stuff here. Think of these as an early Christmas present! So the big day is finally here, and at long last after months of waiting, Sonic Generations is finally here for us all to enjoy – so long as you live in North America, that is. Us poor sods in the Old World have to wait another 3 whole days before we can open our shiny new disk boxes; listening meanwhile in tormented agony to our crowing friends across the pond, blasting their way though Sky Sanctuary and Planet Wisp in glorious HD. Clearly, we need to find something that only we in Europe (if I’m honest, more specifically the UK, but work with me here) really had, in order to sustain us until Friday finally rolls around (pun totally intended). 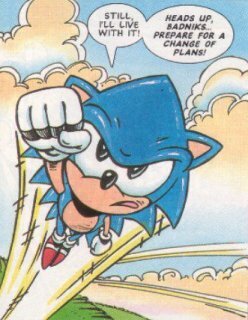 Ladies and gentlemen, I present the first part of Sonic the Comic‘s finest hour: the adaptation of Sonic the Hedgehog 3.